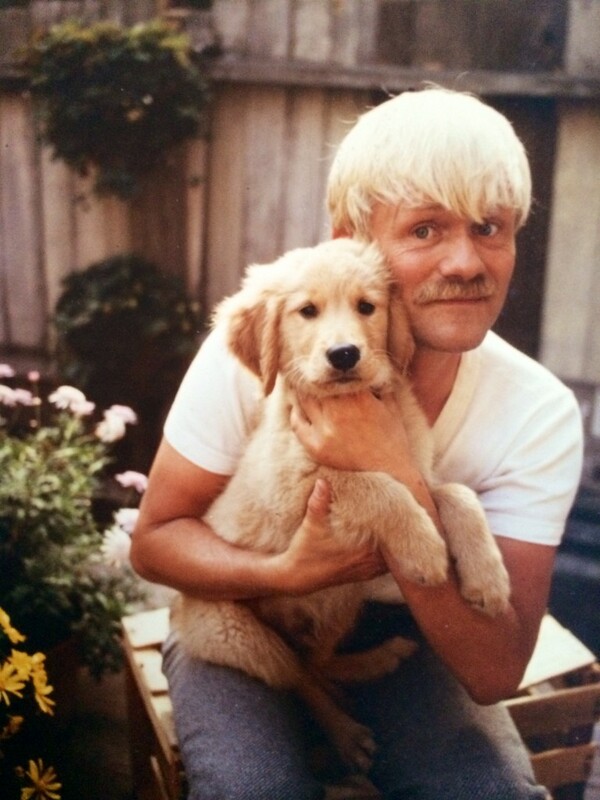 As soon as Robert Gorter moved into his own house which he bought from a local Baptist church at 1409 McAllister Street in San Francisco, he decided to get a dog and the choice fell on a Golden Retriever puppy that was baptized as Wotan (the head of all Germanic Gods and who resisted unsuccessfully the Twilights of the Gods). With the help of James Nunemacher, Robert Gorter bought a fixer-upper in the Western Edition (a run-down neighborhood at that time) but a neighborhood that was in its early beginning or gentrification. It is a typical Victorian house built in 1888, and that had survived the big earth quake of 1909 as that neighborhood is situated on top of a rocky hill. There was a garden with it and thus, space for a dog as a pet. Wotan turned 13 years of age. This entry was posted in California, Robert Gorter. Bookmark the permalink.